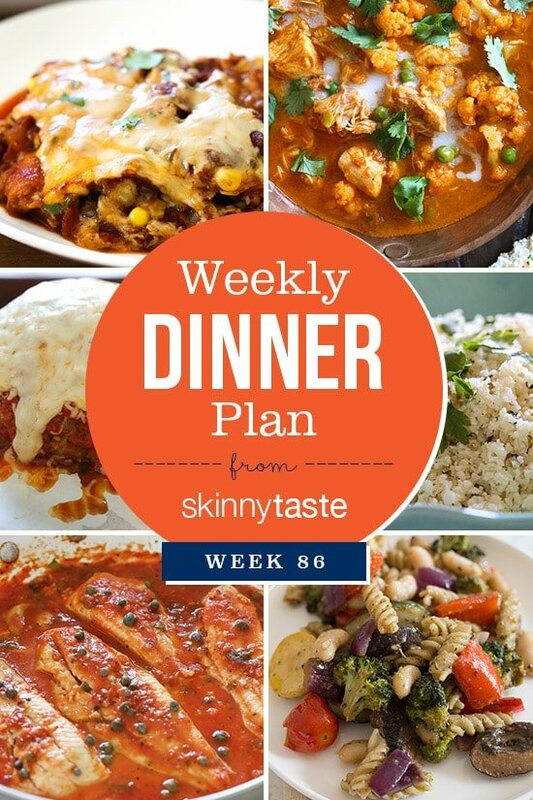 Skinnytaste Dinner Plan (Week 86). I can’t believe that summer is starting to wind down and that in many areas schools are already back in session! Good luck to all of you who have started or are getting ready to start school! Hope everyone has a great week! This is a truly delightful and amazing meal plan, Gina! Can I use regular instead of cherry tomatoes for the roasted veggies and white bean pasta? It’s rainy here in PA today, so I am ready for some warm dinners. Yum! !